I am adopted. It’s no secret. My parents are Caucasian, and clearly, I am not. But it’s hilarious how people will tiptoe around the subject. There are usually some false starts and long pauses, and I like to give them that extra minute of awkwardness to watch them figure out how to phrase the question. It’s usually disguised in a vague inquiry, like, “How did you come to be where you are?” “Did your parents remarry?” “Where are you all from originally?” “Did you grow up here your entire life?” I’ll sometimes explain how I grew up in Philly just to throw them off balance. This sort of conversation happens so often that I have begun to wonder what people are thinking as they freeze up and quickly change the subject. Is adoption a taboo topic? Are they uneasy about it because they think it’s politically incorrect to ask? Do they think I don’t want people to know? Even better, do they think I might not know? Introducing my family to people wonderfully complicates things because I have two brothers, one white (Edwin) and the other Chinese (Owen), and none of us are biologically related. People will look at me, then over at them, and back to me, desperately trying to make a connection. While out for Dim Sum, the waiters often speak to me in Chinese, but it’s my dad who fluently replies as I stare at them blankly. One time we were even followed in Hong Kong by people discussing whether I was kidnapped. It’s only at times like these that I’m reminded our family doesn’t look like we belong together. But the truth is, we wouldn’t be a family if God hadn’t found us broken and made us one. Our story is a beautiful picture of what God does for His people. It helps me understand what it’s like to be in God’s family, His power to save and the true meaning of adoption. Where some people might see rejection, abandonment and loneliness, I see God. Heartbreaking circumstances — transformed to be His lifeline of love. When my parents wanted to start a family, they suffered through four miscarriages. My mom couldn’t understand why her body wasn’t doing what it was made for, why God wasn’t intervening or preventing it. She started doubting whether God was in control. Eventually the doctor suggested they consider adoption as an alternative. That Sunday at church, an adopted child happened to pray out loud that all the children without families would have one found for them. “It was like we prayed for guidance and it hit us right in the face,” says my mom. 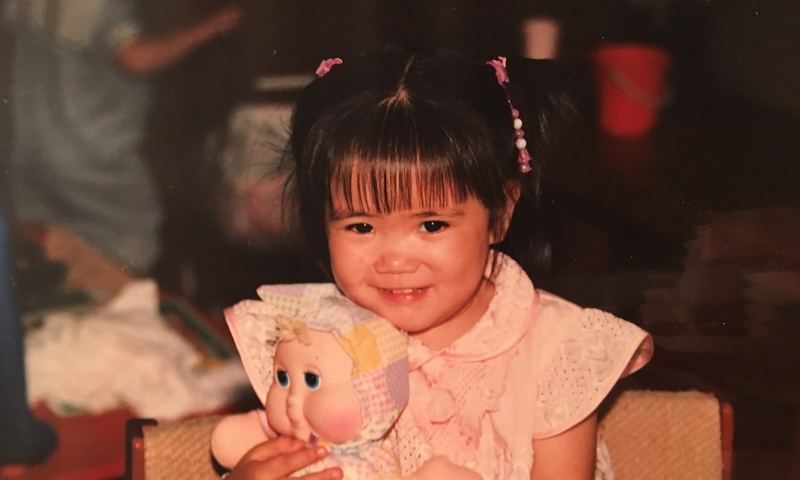 “I knew immediately it was God telling us what to do.” That week they went to register at the government adoption agency and were unexpectedly expedited through the process. In just five months, my parents brought home the world’s single most adorable baby — me! Three years later my family adopted Owen, and less than a year after that God threw in a third when my mom gave birth to Edwin. “Looking back, the reason I didn’t understand why this was going on was that I was only looking at why this was happening to me,” says my mom. “I was only thinking about me and not that there might be a broader picture. God was strengthening my faith, but He was also doing something profound for these children.” This story was never about me or my mom, it was about our family — God’s family. I think sometimes the world conceives sons and daughters to be those born into the family; and perhaps this is how we tend to view God’s love — dependent on who we are or where we’re born. Oftentimes we believe that the people outside our doors and beyond the four corners of our own little worlds aren’t meant to be our brothers and sisters. Yet God is constantly inviting those who are separated to be connected, and His family includes generations of people from all walks of life, races, cultures and social classes — because of people who choose each other. Once as kids when Edwin and I were arguing, he yelled: “They love me more because you were adopted!” My parents underwent a heart attack, but I didn’t skip a beat: “No! They love me more because they CHOSE me, but got stuck with you!” (…Oh snap!) When we believe we’re really loved, we ought to have that same childlike confidence, satisfaction and joy in knowing we’ve been chosen. God didn’t end up stuck with any of us; just as I was adopted by people longing to create a family, God lovingly created and chose us to be a part of His family. Will you extend His invitation? 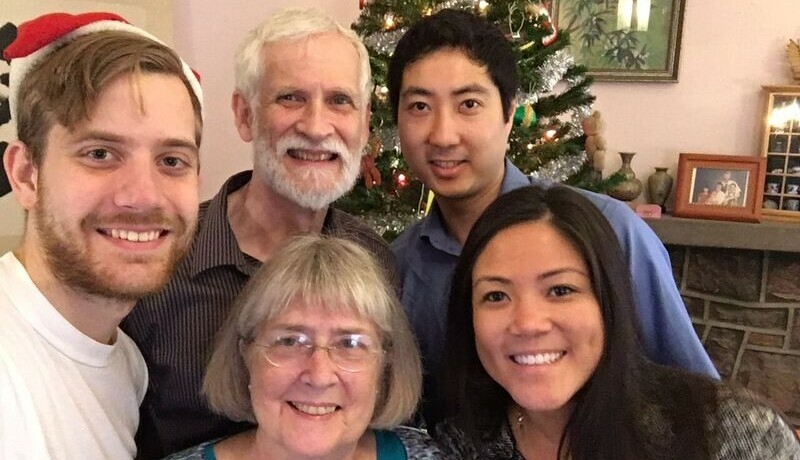 My family is a small glimpse of God’s vision — to unconditionally expand our idea of family to the point where people wonder how we’re all related. 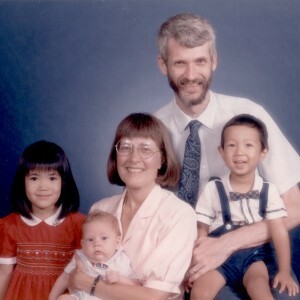 Here you have two white parents with one white kid and two Asians who don’t resemble each other, and people trying to make the biological connection. That’s what love does. It fills in our gaps. Love often finds the most room to grow in the voids — in the emptiness of loss, or when our own world is shattered. It seems the adoption process begins when our hearts are broken open; it’s in those helpless moments when we fall apart that we search for something new to adopt — a new vision, cause, meaning, relationship, a new life. Through my adoption, I was given a new name, Anna, which in Hebrew means “grace”; and with grace I received a new inheritance, a new life, a new identity. Now I have a love that defines who I am today: the daughter who returns to her parents on holidays, drops her junk on the floor to quickly open the fridge and help herself to a little of everything, then stretches out on their couch for an extended time before heading back for seconds. But it’s acceptable because I am loved. I’m home. I belong. So when people ask about my “real parents,” it’s because they don’t understand who I really am: I am theirs and they are mine.